KUALA LUMPUR, Jan 17 2019 : PAS has decided to not field its candidate in the coming Semenyih state by-election, said party secretary-general Datuk Takiyuddin Hassan. He said the party’s Central Working Committee at its meeting last night decided to give way for Barisan Nasional (BN), which obtained more votes in the last general election. He said this was with the hope that the result of the Semenyih by-election could help to strengthen the opposition, especially in Selangor, to enable it to play a more constructive check and balance role. “As such, PAS will mobilise its election machinery to help the opposition in the by-election. 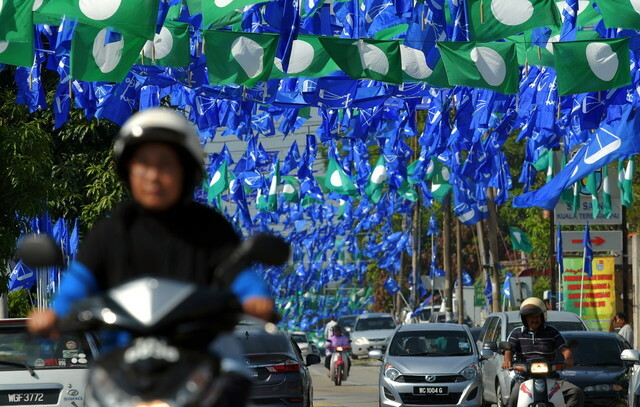 “PAS will also get its members in the constituency to vote according to the party’s stand, which is to give their support to a candidate representing the opposition,” he added. The Election Commission will meet tomorrow to discuss the by-election for the Semenyih state constituency, following the death of incumbent Semenyih Assemblyman Bakhtiar Mohd Nor, 57, due to a heart attack at Kajang Hospital last Friday. In the 14th general election on May 9 last year, Bakhtiar, of Pribumi Bersatu won the seat in a four-cornered fight against Datuk Johan Abd Aziz (BN), Mad Shahmidur Mat Kosim (PAS) and S. Arutchelvan (PSM), with a majority of 8,964 votes.